Grant Kirkhope is one of the most popular game composers in the western games industry. He achieved great recognition at Rare for his scores to the adventure titles Banjo-Kazooie andDonkey Kong 64, first-person shooters Perfect Dark and GoldenEye, and, of course, the life simulations Viva Piñata and Trouble in Paradise. A couple of years ago, he left the British developer to join the Maryland studio Big Huge Games, where he is currently serving as audio director, composer, and sound designer on their dark fairytale RPG Project Mercury. Grant Kirkhope: Having a classical background from a very early age exposed me to lots of great music that I may never have heard if I’d not gone down that path. Prior to this the music I heard the most was Frank Sinatra and The Big Bands of Glenn Miller and the like, as my father was a huge music fan, plus my mother was a music hall dancer in Edinburgh. It wasn’t until much later that I became aware of popular music. I started playing guitar at 11 — I was self taught which was opposite to my classical training on the trumpet. I feel really lucky to have had the chance at playing all these different styles, since it taught me lots of things in different ways. So when I first started trying to write music for games I found it quite easy, using instruments of the orchestra just seemed normal to me as I was so used to hearing them. Also writing music that was rock based was also something I’d done a lot of. I suppose I got the best of both worlds. Chris: It’d be interesting to learn more about your works on rock bands such as Little Angels and Tribe. What was it like to tour and produce albums with these groups? Do you have any particularly special memories of these days? Grant Kirkhope: Little Angels were friends long before I played for them and I knew their manager really well too, as his record label had put out an album by a metal band I was in at the time. Those times were fantastic and getting to go on tour as the opening act for Bon Jovi, Van Halen and Bryan Adams, amongst others, was a dream come true. To stand on stage at a sold out Wembley Stadium is a once in a lifetime event. We had a lot of fun on those tours and I’ll never forget it. I do have lots of special memories from those days and the most special is the day that Eddie Van Halen gave me a guitar. We were in Paris and I was backstage talking to Eddie, as we all did, and I asked him if I could have a picture taken with him as it was getting near the end of the tour. We had the picture taken and then he asked if he could have a talk with me. I thought I’d done something wrong. We went into a room by ourselves and he told me that he wanted to give me a guitar but it wasn’t arriving ’til the London shows at Wembley arena and he’d been keeping it a secret as a surprise… I nearly fell through the floor. Eddie was a huge hero of mine and I just couldn’t believe it — I would’ve been happy with one of his plectrums! Eddie was a genuinely nice person. He always came and chatted with us and told us stories about Van Halen’s early days and answered all the questions I’d been dying to ask him for years. Tribe is a band that I’d been a part of for a few years although it was called something else then. They’d reformed under the new name and had started a MySpace site using songs I’d written and played on. I think they were as surprised as I was to get a huge number of people liking the music, and they went on get a record deal with a German label. I stay in touch with them to see how they’re getting on. I think they may be doing another album and have asked if they can use some more of my songs, so we’ll have to wait and see what happens. Chris: Moving on to our video game works, your first project at Rare was actually Donkey Kong Land 2for the Game Boy. How did you find working on a game project for the first time? From the perspective of composition, arrangement, and sound design, what was it like to work with the Game Boy on this project? Grant Kirkhope: I found it hard and daunting. I’d never heard of hex, and I just thought it’d be all MIDI files, synths and samplers like I was used to. I remember Dave Wise coming to show me how to do it. I just sat there and thought I’ll never be able to do this — I honestly thought it was all beyond me and I’d have to quit. I told Robin (Beanland) and he suggested getting Dave back in to show me again and make notes this time. This I did and, obviously once you learn the routine of it, it gets a lot easier. I actually enjoyed it in the end, and it became a sort of challenge to see how far I could push the Gameboy. I’d listen to Dave’s tunes and work out what they were doing and then just type it straight into the Gameboy. Sound design on the Gameboy isn’t really what I’d call sound design — it just has a noise channel that you can play around with and make funny noises! Chris: GoldenEye was your first major title at Rare and ended up selling over eight million copies. How were you able to develop a suitably edgy action score for this title? To what extent were you influenced by past Bond themes and Graeme Norgate’s own work on the title? Grant Kirkhope: I remember Mr. Norgate was doing GoldenEye and Blast Corps at the same time, so he asked me if I could take on GoldenEye as he was so busy with Blast Corps. It was decided that I would work on the Gameboy in the morning and GoldenEye in the afternoon. Graeme showed me how to get sound into the Nintendo 64 and left me to it. This was a steep learning curve as well, since I had a tiny amount of space to get sound in. I even had to loop cymbals as there wasn’t enough space for a complete decay… heh! In terms of influence, I listened to all the Bond theme songs as well as lots of the scores from the movies over and over. I have to say it was fantastic to be able to use Monty Norman’s theme tune. You just can’t beat that main Bond motif — you only have to hear a couple of notes and you know it’s Bond. I just tried to include the main motif in as many pieces as I could in as cool a style as I could write. I think you can’t fail to be inspired by the Bond stuff. Eric Serra’s score was a new approach, I remember thinking at the time; I didn’t necessarily like it but I did like the way he used instruments that perhaps weren’t standard fare for a Bond score. There’s also an acknowledgement to most of the theme songs in the music that I wrote. Overall, GoldenEye was a really good experience for me and I learned a lot. I never got to finish it as Tim Stamper and Gregg Mayles decided they wanted me to work on their game that was called Dream. [Editor’s Note: Dream was an RPG that was abandoned and replaced with Banjo-Kazooie. Grant discusses the story of the game and provides samples from the score here]. Anyway, Graeme returned to Bond to finish it off. The game was so behind in its development that most of us thought it’d never come out, and even if it did it wouldn’t be any good! Chris: Perfect Dark‘s exquisite soundtrack was principally composed by you. Could you elaborate on how you were simultaneously able to offer such an atmospheric yet thematically compelling soundtrack here? Grant Kirkhope: Perfect Dark came about in a sad way really. I was already working on Banjo-Tooieand Donkey Kong 64 when Graeme Norgate decided to leave Rare and go on to found Free Radical with some of the GoldenEye team. Graeme was and still is a great friend and I was really sorry to see him go. Robin, Graeme, and I had some great times together at Rare. 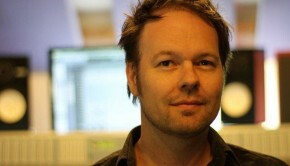 Graeme had been working onPerfect Dark and Jet Force Gemini before his departure. It was decided that I should do Perfect Darkand Robin should do Jet Force Gemini. For Perfect Dark, I really wanted to create a mostly electronic soundtrack for that game which was a total change from what I’d been doing. I wanted to make it moody and dark but still with some strong thematic elements. I always try to write strong themes — I suppose I’m a bit old school that way, but I still honestly think that the average person wants to hear a tune they can hum and remember. Stylistically I was thinking The X-Files in my head, but I don’t think it sounds like it… heh! Some of the instrument samples in the game were samples that Graeme had been using and probably weren’t ones that I would’ve have chosen; I kept them as they sounded so great and made me think outside of my usual comfort zone. The game had such a great feel to it and I loved writing some slow moody pieces. I think “Chicago: Stealth” is one of my favourites in that regard. I loved the fact it was raining and I just came up with that opening synth riff — I felt it had a really haunting quality about it. I just love when the kit comes in with my best Lars Ulrich kick drum sound! To me it really fitted the level perfectly and added to the atmosphere. “G5 Building Reconnaissance” is another one of my favourites too. I was thinking about the original Mission Impossible series when I wrote this one. The triangle figure is a classic sound from that kind of 70’s show and I really like it when the kit comes in about half way through. The choir sound is one of the samples that Graeme left behind — I think it’s called Tron Choir. It sounded so good I couldn’t help but want to use it. “Datadyne Central Extraction” is special for me too as it was the first piece I wrote for the game after Graeme had left. That piece really defined the style of how I thought the score would go on though out the game. That whole time is a bit of a blur for me as I was doing three games at once…!! Chris: Banjo-Kazooie apparently started the ‘dream’ for you. How were you able to establish the series’ characteristic light-hearted and lyrical sound of this purpose? In terms of inspiration, were you more focused on the expansive landscape for the project or the humorous lead characteristics? Grant Kirkhope: When I first started writing stuff for Banjo, it didn’t really sound like the Banjo that everyone knows now. The Click Clock Woods tune was my first attempt at music for the game, and there’s nothing really in that tune that sounds like the Banjo style to me. I think writing the tune for Mumbo’s Mountain was the first one that made me think I might be on to something. It all comes down to the idea of Banjo and Kazooie being totally opposite characters and I wanted to reflect that in the music, hence the use of C major followed by F# major, the furthest point of any two notes being the tri-tone. I ended up going mad with that idea and using it everywhere in the Banjo games. I used to try and compose myself into a corner and then try and get back to the home key in time to loop the tune. So once I had this style in my head I’d look at the levels and use this harmonic template in the style of what I saw. This was the first game where I got to write a full on big boss piece for the end battle against Grunty. I just tried to cram as many ideas into a few minutes of music as I possibly could. I think I may have gone a bit over the top… heh! Even when I watch it now the big chords for when the Jinjonator slams into Grunty give me chill… weird eh! I think the underlying thing for me was to try to write good memorable tunes that (hopefully) didn’t get on your nerves after hearing them a zillion times. I have to say it still never ceases to amaze me how many people mail me saying how much they like the Banjo music and still play it to this day — it is really humbling and it’s so nice to hear people say things like that. Grant Kirkhope: I just wrote the music I thought suited the levels as I always did. I don’t think I really thought of Tooie as a darker game, but maybe I just missed it! In terms of technical capacity, I was able to go to town more on all the channel fading thing that we had going in Banjo-Kazooie. Will Bryan, a programmer at Rare, had found a way to link two MIDI files together so I could have twice as many channels. Witchyworld was the most ambitious I think &151; I managed to have a channel fade for all the areas. I remember being really proud of it, but sadly no-one noticed… *sob*! I did have double the memory too so I could add lots of new sound effects and some more instruments to use. I think, by this point, I was finding it difficult to keep the same oddball style going as I was running out of ideas, so I think some of the quirkiness had gone out of the music. I still went mad on the final battle piece as always. It still makes me smile when I hear it. I still go mad on boss pieces to this day — I just can’t help it. I got a mail from someone ages ago saying that they loved my overly melodramatic boss pieces. What d’ye mean melodramatic… heh! Cloud Cuckoo Land was my attempt at total madness; there are lots of quick chord changes and a never ending tune that just keeps going. I’ve had quite a few mails about this piece saying that it drives people mad, but they like it…!! Grant Kirkhope: The scores Dave Wise did for the Donkey Kong games were great and I wanted to make sure I didn’t ruin it all. I added a middle section to his original Donkey Kong Country tune, but otherwise it’s just my arrangement of his piece. Anyway, I really liked the music for DK64. To me, it was a darker game than the Banjo games so I could take a few more risks. Frantic Factory was one of my favourites from that game. I remember I thought it was pretty dark at the time. I decided early on that all the music for the bosses at the end of each level should be a boss version of the level tune. If I did it again I don’t think I’d do it that way now; I think it hammers the tune you’ve just been listening too for the last hour down your throat. Other than that, my approach to the levels was the same as always. I’d either get to have a look at it or get a description from the lead designer — that’s all I need really. I do remember going to see one of the designers about an early lava level and asking him what he had in mind for music. He said he thought something like Firestarter by The Prodigy… hmmmm, I thought, maybe I’ll just do what I think. Needless to say he didn’t last too long in that role… Heh! Grant Kirkhope: Aaaaarrrggghhhh…. Don’t mention the DK Rap… it wasn’t my fault honest! Blame George Andreas the game designer — it was all his idea. I still get made fun off at Big Huge Games about the DK Rap. What can I say, it was supposed to be a joke — you know, monkeys rapping about pineapples and bananas — and it wasn’t supposed to be a serious attempt at rap music. 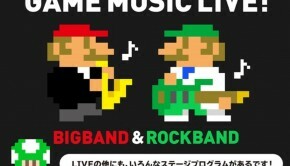 Oddly enough, Nintendo still used it on Super Smash Brothers and had it re-mixed by some Japanese DJ… weird! I think my tombstone will read, “here lies the body of Grant Kirkhope, he wrote the DK Rap, may God have mercy on his soul”. Heh! Grant Kirkhope: Actually there wasn’t any channel fading in Donkey Kong 64 apart from a character select screen. I decided that, since the Banjo games were well known for that feature, I’d keep it just for them. The way it worked in Banjo was that a programmer would place a sphere over the area that I wanted a certain combination of channels to play in and I’d tell him which ones. He’d then turn it into a hexadecimal number and assign it to that sphere. It was time consuming to write different versions of the theme and challenging, particularly in Banjo-Kazooie where I only had 16 channels to play with. In fact, as most levels had water, I would have to save one channel for the harp for the underwater effect. It worked pretty well over all. I loved the way it would seamlessly morph from one version to the other. I suppose that’s the beauty of cartridges — all the information is available straight away, and no slow seek times like on DVD’s! Chris: During Rare’s early years, it was common for the game composers to also serve as voice actors, e.g. Eveline Novakovic portraying Joanne Dark. From your own experiences, what was it like to work in this role? Aside from Donkey Kong, it’d be interesting to learn which other characters portrayed as a voice actor — given your Scottish heritage, is it correct to assume you were the voice behind Daniel Carrrington? Grant Kirkhope: It was just good fun really, plus Rare was a very private place — we could never have brought anyone in from the outside to do anything so we had to do it ourselves. I’ve done so many voices for characters/creatures that I’ve forgotten most of them! I did the Skeletons in Grabbed by the Ghoulies, the pig, dog, cat, alligator, elephant and many more in Viva Pinata, the Jinjo’s in Banjo-Kazooie, the spooky Thank You in the Mad Monster Mansion graveyard… Oh, and Mumbo Jumbo of course (I may reveal the story behind Oominaka one of these days!). Too many to remember! Actually the voice of Daniel Carrington was another Scot at Rare, Chris Sutherland, who was the lead programmer on the Banjo games. In fact, he was also the voice of Banjo and Kazooie as well… and one of the rappers on the DK Rap!!! Chris: Grabbed by the Ghoulies was your first released project after Microsoft bought out Rare. What was it like to create darker music once again for this title and how was it to use the more liberated technology of the Xbox? Do you regret that this soundtrack didn’t become as well-known as your other projects and wasn’t released on CD? Unfortunately Microsoft didn’t think CD soundtracks were worth it at the time. They said that they cost more to produce than they made back on selling them, so Ghoulies went by the way side. It was talked about for a while and then dumped. Obviously I would’ve loved for it to come out on CD but alas no. I think, by the time we got to Grabbed by the Ghoulies, the team humour was pretty much set. It’d been that way from Banjo-Kazooie as the core of the team had been the same since then. I already knew what made us all laugh so I just carried on in the same vein that I had been doing. Also I was pretty much left to sort it all out by myself really. If there was something I wasn’t sure about I’d ask Gregg, but generally I’d just get on with it. For the voicing main characters in the game, I’d either do them myself or ask team members to have a go. Steve Malpass was The Baron and Mr. Ribbs, Steve Mayles was The Mummy and the Haunted Picture, Ed Bryan was The Imp, I think I did the The Zombie, and Ben Cullum (Jamie Cullum’s brother) did The Pirate, and lots more people did stuff that I forget. 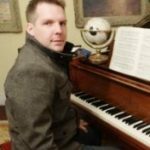 Grant Kirkhope: I do tend to be known as just a composer, but what most people seem to forget is that I’ve done most of the sound design for all the games I’ve worked on and done some for others too. I don’t know how I’d describe the creative process really — I just look at something and get an idea for what I think it would sound like and go off and find some samples that I think match up. Sound design can be time consuming, though. After you record a voice, for example, it’s all the trimming and processing, plus attaching it to animations takes even more time. Things like attaching footsteps takes forever if you consider that every character in the game has multiple animations. Then you have the cinematics where you have to attach every sound effect by hand. In the case of Ghoulies’ cinematic book sequences, it was a long task to write the music which was very chop and change and do all the sound effects. Grant Kirkhope: When I first started on Viva Piñata I was mainly just trying to help Steve (Burke) out, as I’d nearly finished Ghoulies and he was doing Kameo and Piñata at the same time. I was just doing the sound design at first but then, as he got busier with Kameo: Elements of Power, I got the whole game to do. Steve wrote about 20 or so of the romance dances and a main garden piece that had a very Spanish flavour. When I first started thinking about the music I felt differently about the Spanish element and wanted to change Steve’s pieces for something else. It was a great piece of music — don’t get me wrong — yet I just had a different idea for the overall sound. I kept thinking about the music of Elgar and Vaughan Williams and how they had written really beautiful pieces that I thought conjured up images of the English countryside, so I started out trying to write pieces in that vein and swapped out Steve’s pieces for some of my own. Also I wanted to have pieces that would play in a random order and intermittently during gameplay instead of one piece that looped endlessly. I wanted to let the garden ambiences that I’d put together provide the main audio background and have the music come and go. I have to say I really let myself go when I was writing the music for the Viva Piñata games. It was one of those rare occasions where the music I most like to write suited the game perfectly. When it came to do the second game I just wrote straight from my ear. The ice pieces and the desert pieces plus the new garden music is my favourite music of my own. I could go into endless detail about how I felt writing that music but I don’t want to bore you! The romance dances were something completely different. 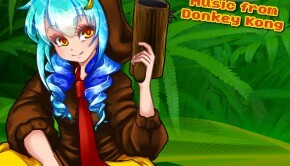 One of the artists on the game (Neil Price) had the idea that it would be fun if every animal had its own style of music for its romance dance. This of course gave me a huge load of work to do… heh! For instance the pigeon was 80’s pop, the hedgehog was 70’s hippy, the Mandrill was Ska, the list goes on. Needless to say I had a lot of fun copying all the different styles that the artists came up with! It took Microsoft a long time to decide to release a CD for the Piñata games. I couldn’t believe it, as they’d already released Kameo: Elements of Power and Perfect Dark Zero, but then couldn’t decide when it came to the original Viva Piñata. That’s why Sumthing Else’s album is a compilation of both games and not two separate CDs. Grant Kirkhope: What can I say about that orchestra and working with Nic Raine and James Fitzpatrick? Well, it was absolutely fantastic! I remember the first day of recording the original Viva Piñata soundtrack, when they played the first piece (which was the main intro). It really brought me to tears as it sounded so good. That whole experience was totally amazing. I was used to orchestras, having played in them right up until I left the Royal Northern College of Music, so I wasn’t scared of the whole writing music for full orchestra thing that can be daunting for composers that haven’t any experience of it. I knew what to expect but I wasn’t prepared for the thrill of hearing my own music. Anyway, it’s a really slick operation in Prague. They’re used to the video games thing now and just take it in their stride. Nic is a great orchestrator/conductor that puts you totally at ease. Likewise James’ production is very professional and he knows all the logistics of getting stuff done in the time allotted. We always start off with the big ensemble stuff and then scale the orchestra down towards the end of the sessions. I’d say we got everything recorded in two days and then have a further couple of days in England for mixing and mastering. My midi demos of all the Viva Piñata music sounded pretty good, as I used all the Vienna Library samples. However, when I swapped out my mock ups for the real orchestra, everyone couldn’t believe the difference. Even people in Microsoft noticed. It just added a new quality to the game. It wasn’t until after the game had come out that I started to think the music stood up by itself without the game. I was thinking about maybe trying to tie it all together in a Viva Piñata suite, but I never got round to it… heh! Grant Kirkhope: Going back to Banjo was like putting on your favourite pair of slippers — it just felt really good. I knew how much people liked the music on the early games and I didn’t want to make a mess of the new game, so I started by re-visiting Spiral Mountain and Mumbo’s Mountain as I thought they were going to be in the new game. I wanted to write longer pieces too as all the older pieces looped round in two minutes or so. We’d just bought a banjo at Rare so I spent a day or so trying to play it and recorded myself playing Spiral Mountain just sitting in my office and not caring about quality. I was imagining Banjo re-learning to play after a few years off… heh! Actually someone in Microsoft complained about that and said it was terrible quality and asked what was I thinking. I don’t think they got the point somehow. It was sad times for me then. I knew I was going to be leaving Rare and it was fitting that my last music for Rare was Banjo. I really wanted to do the whole game by myself as I’d done the other two by myself but it became clear pretty soon that I wouldn’t be able to manage it as well as writing Viva Piñata: Trouble in Paradise. I asked Robin and Dave Clynick to help me out and we divided up the music between us. Martin Penny was given the sound design with help from Steve Burke and Jamie Hughes. Pretty early on I decided I’d like to include little pieces of the earlier games’ music in the new tunes to link back to those games that everyone loved so much. I think the first one I did was the inclusion of a little bit of Treasure Trove Cove; everyone seemed to like it so Robin did the same in the pieces that he wrote as well. The biggest homage to the early games was the piece for Banjoland which ran through lots of pieces all strung together. That was great fun to write as well as being hard to decide which tunes to include and which to leave out. It didn’t quite feel like it did when I was writing for the earlier games as I wasn’t in the same space as the team. Rare had moved since then and we had a sparkling new music dept where we all were. When I wrote the earlier games we were all in together and I think it made a difference. The actual recording sessions in Prague were my last days at Rare. When we came back I think I officially left. Robin attended the mixing and mastering as I was packing up all our stuff ready to go to the States. Chris: Some in the industry are concerned that Rare faces tough times in coming years. Do you think this is justified? Now that you have left the company, what do you foresee for the future of the company’s games and music? Grant Kirkhope: I have to say I do think Rare are facing tough times, and it really pains me to say it. 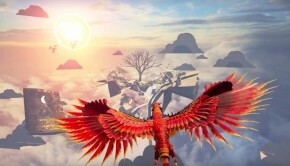 Rare is still full of hugely talented people and I really don’t understand why Microsoft doesn’t seem to want to let them make a core market title. Well, maybe they are, I honestly don’t know. But I do know that Rare could make a fantastic game given the chance. Broad appeal titles just don’t seem to be selling on the Xbox, so it doesn’t make any sense to me to have Rare only make that kind of game. I really hope they’ve got something fantastic hidden up their sleeve that’ll blow us all away. I’m a fierce defender of my friends at Rare and I can only wish them well. Rare are down to two composers now (Robin Beanland and Dave Clynick) and two sound designers (Martin Penny and Jamie Hughes) so there’s no reason why they still can’t produce great stuff. There’s a strong tradition of excellent audio there and I’m sure it will continue. On an unrelated note, Tim and Chris Stamper left Rare in 2006 and said they were going off to make games back at the old Rare HQ, Manor Farm House… please hurry up!!! Grant Kirkhope: It has been a slow process getting “plumbed in” to the USA. There are lots of things to sort out — it’s like starting again with things that you’ve taken for granted for years like driving licenses, social security numbers, credit cards and, of course, the life ruling credit score! I do feel settled at Big Huge Games. When I first started looking for another company to work for, the most important thing for me wasn’t the size of the company or how famous they were. It was if I could fit in and make a difference to their games. Also I wanted to feel a real vibe about the place, like the Rare of old. Of course, having the company nearly go bust six months after I got there wasn’t exactly a nice period for me and I did contact some other companies during that period, but ultimately I decided to stay. Chris: You recently revealed that you would be working on a new unannounced project with Oblivion‘s designer. Can you give us any hints about what we might expect from the eventual score? Are you glad to be working again as a composer, given you initially planned to work only as a sound director? Grant Kirkhope: I am working with Lord Kenneth of Rolston and a fine gent he is too! All I can say is that it’s a big RPG, published by EA and its current name is Project Mercury. We should be unveiling the game in the near future so keep your eyes and ears open. It is nice to be composing the score as well as contributing sound design. I am the audio director but I still do my normal work as well as making sure the audio sounds the way I want it to. When I first got to Big Huge Games, Dynamedion in Germany were contracted to do the score. However, after a while of me being there, it seemed silly to have me sat there not writing music; it also saves money, which I’m sure also played a part in the decision! I’ve actually just had the main theme for the game recorded by full orchestra but I won’t be recording the rest of the score ’til near the end of the game. If I had to sum up the style of music I’m writing the words I’d use would be “dark fairytale”. I’m still writing themes as I always do and lots of ambient pieces for exploring the world. I do love writing dark music but I’m managing to keep some of the beauty of the Viva Piñata games in here too. I really like the current direction of the music for Mercury — I think it compliments the look and feel of the game. Chris: Many thanks for your time today, Grant Kirkhope. Is there anything else you’d like to say about your life and works? Also, is there any message you’d like to leave to your fans around the world? Grant Kirkhope: Life and works? Heh! I think I’d just like to say I was very lucky to have been at Rare during those amazing years, to have worked with such a great bunch of people, and to have been given the chance to make audio for those games that everyone has such fond memories of. I don’t really think of myself as someone who has “fans,” yet it’s very flattering that you said that! I’ve just recently started up my own website and I can honestly say I’ve been bowled over by the amount of people that have contacted me asking me questions and some just to say they like my stuff. I just didn’t expect that. I answer all the mails that I get. As far as I’m concerned if someone can take the trouble to write to me the least I can do is write back, it may take me a little while to get there but I will! The greatest compliment any artist can have is for people to like what they have created — it’s just amazing and very humbling. I’m looking forward to everyone hearing the audio on Project Mercury and I hope they all like it! Many thanks Greg O’Connor-Read for kindly organising this interview. For samples and stories about Grant Kirkhope’s works, please visit his official website. Posted on May 22, 2010 by Chris Greening. Last modified on March 7, 2014.